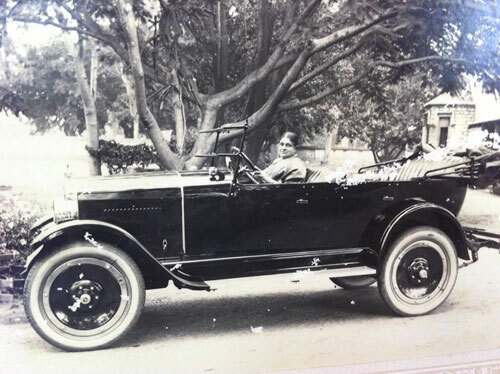 The first Indian lady to drive a motor car in the State of Mysore was Mrs. Narasinga Rao Purnaiya, the daughter in law of Sir. Purnaiya Narsinga Rao Krishnamurthy, Dewan of Mysore in the 1890s. The Wodeyars of Mysore :- Mysore became independent after the fall of the Vijayanagar Empire (1565 A.D.) and the Wodeyars ruled from 1578 till the independence of India in 1947 except for a short period when Hyder Ali usurped the kingdom and after him, his son Tippu Sultan's ruled. The kingdom was returned to the Wodeyars by the British in 1799. After the 4th War when Tipu was defeated, Purniah was summoned to surrender and was assured no harm will come to him. With a sense of relief he replied "How can I hesitate to a nation who are the protectors of my tribe from Kasi to Rameswaram ?" A letter written by Napoleon Bonaparte in Feb 1798, when the English Army had already begun the invasion of Mysore, reads [ BONAPARTE, Members of the National Convention, General in Chief, to the most Magnificent SULTAN, our greatest friend, TIPOO SAIB] " You have already been informed of my arrival on the borders of the Red Sea with an invincible army.........full of the desire of delivering you from the iron yoke of England.......May the Almighty increase your Power and destroy your enemies"